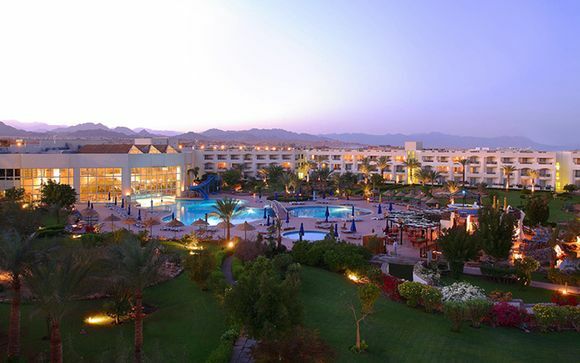 Great deals to Sharm El Sheikh up to -70% off To take advantage of these offers, join now for free! 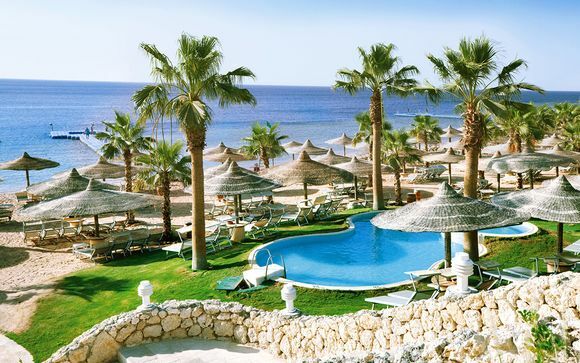 Find great deals to Sharm el Sheikh online with Voyage Prive; explore this magnificent city and experience its palm lined promenade, lively restaurants, long sandy beaches and crystal clear waters. 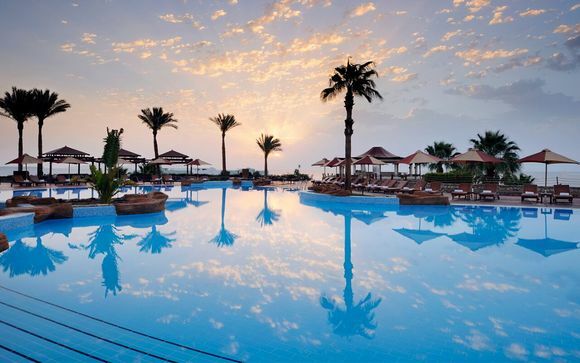 With over 360 days of sunshine per year, Sharm el Sheikh is the perfect, year round destination for travellers in search of affordable luxury holidays. 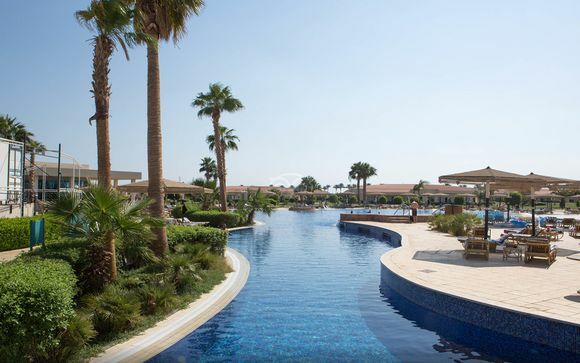 As Egypt’s top beach resort, the vast array of accommodation available means you can be sure to pick up some great deals. The beauty of the Red Sea's coral reef has transformed Sham el Sheikh into one of the world’s most popular resorts for diving. Thanks to its range of fascinating dive sites featuring shipwrecks and a stunning array of marine life, the warmth of these Egyptian waters attracts novice and experienced divers alike. Whether you’re wanting to try diving for the first time or interested in booking a week-long course, you can be sure to pick up some excellent Sharm el Sheikh deals. For holiday makers in search of culture, the Museum of Ancient Egyptian Heritage is located nearby. With impressive displays offering an insight into early Egyptian civilisation, a visit for art lovers is a must. For those in search of something a little more adrenaline filled, mountain bike tours through the Ras Mohammed National Park are organised locally and suitable for all abilities. Speak to your tour guide or the local tourist information office to pick up some great deals. At night, Sharm el Sheikh’s palm lined promenade comes to life with bars offering everything from ice cold beers to exotic cocktails. Whether you’re looking to relax and enjoy a stylish pre-dinner drink in Little Buddha’s illuminated lounge, or wanting to dance until dawn at the famous Pacha Nightclub, Sharm has it all. Eating out in Sharm el Sheikh offers some equally diverse options. Whether you’re looking to enjoy traditional, Middle Eastern, alfresco dining set against a mountain backdrop lit by firelight and candles or in search of a more casual, contemporary dining experience, Sharm el Sheikh’s top notch restaurants cater for everyone. 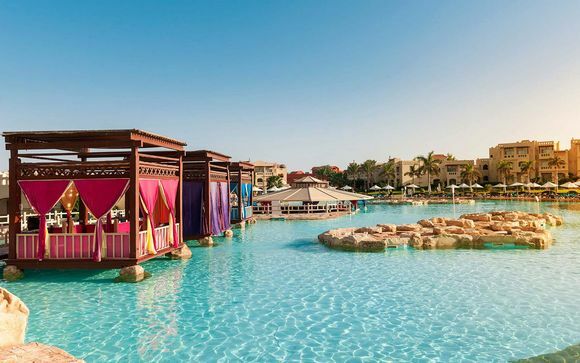 If you’re searching for a warm, lazy beach holiday or an activity packed week in the sun, Sharm el Sheikh offers the very finest affordable luxury - make the most of it with our handpicked offers.